For all the latest Reposs EPoS news, offers and updates. The Toshiba T10 All-in-One POS system is retail optimized and designed to be agile, flexible and reliable with the ability to scale as retailers and consumer demands change. 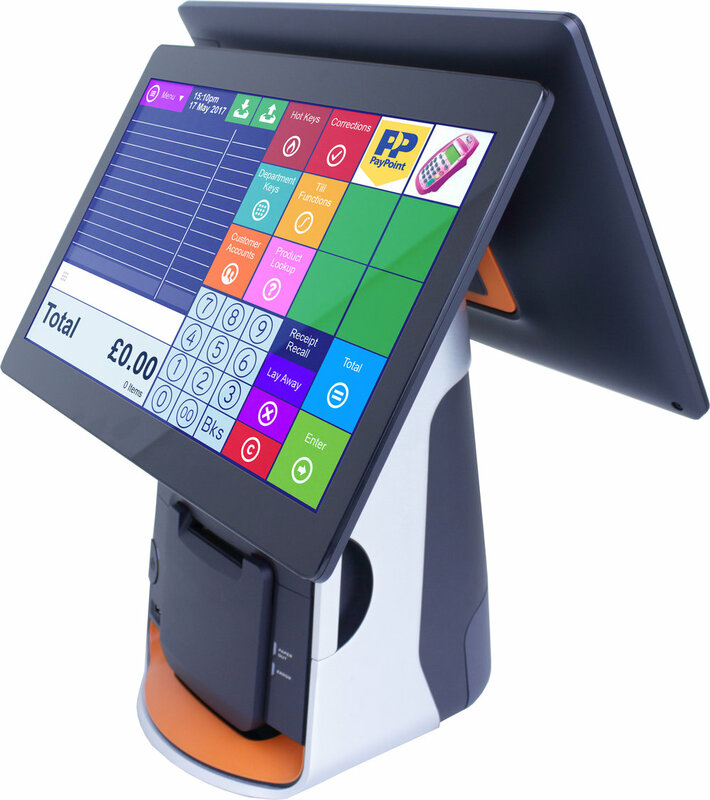 A complete retail POS solution in a small package, that delivers the perfect mix of value, performance and style for budget-conscious businesses. All Toshiba Basics Line POS systems are retail optimized to provide substantial performance, easy maintenance and positive operational impact based on an open platform designed to run with industry standard peripherals. The Toshiba T10 is well suited to meet both aesthetic and durability requirements and is designed to deliver the performance you need to keep your business running. Its primary display easily adjusts and conveniently folds resulting in numerous use cases for your business; a stand-a-lone concierge kiosk that acts as a virtual sales assistant, or embedded into the counter as a self-service terminal, or even mounted on the wall, allowing for installation in any location and transforming your retail store into a retail experience. The Reposs Core EPoS software now allows it's users to compare their selling prices against the major wholesalers and 1000’s of retail stores by using the NEW Reposs Cloud Selling Price Index. The Selling Price Index is constantly updated, giving our users up to date average selling prices for over 50,000 lines, enabling users of Reposs Core to maximise their selling price where they feel it is appropriate, simply by selecting the average price or using the information to input their own new selling price. Once the change has been made a new shelf edge label can be printed. Paul Lansdale, Managing Director, Reposs Ltd said “our new Cloud based Selling Price Index gives our users the average selling price from a massive market read. Every retailer has their own local situation to consider, but by using our Cloud based Selling Price Index our users can access market pricing trends so they can make an informed decision on their own selling prices."